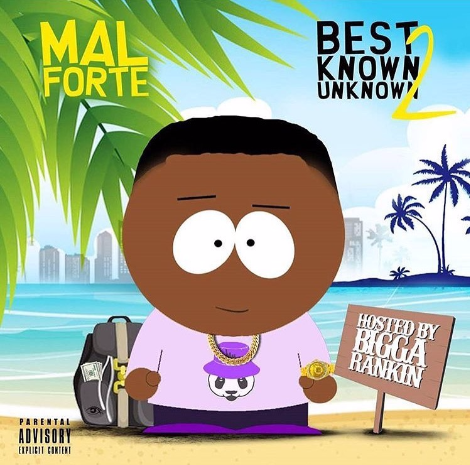 Mal Forte (pronounced Mall Forte), is breathing fresh air into the lungs of hip-hop and R&B. After releasing his lattest mixtape, Best Known Unknown 2 hosted by Bigga Rankin, Mal performed live at the BET Hip Hop Awards after party alongside Cardi B at Miami’s G5. Best Known Unknown 2, is the second installment of his Best Known Unknown series, and is 10 tracks of complex multi-layered sound.